Enjoy 12% Off on All Orders!! Enjoy 12% Discount available on all orders with the exception of Interflora, Florist and Traditional products. The voucher code "AW12OCT15" must be entered at the time of purchase and cannot be used in conjunction with any other offer. Offer valid until midnight 31st October 2015. Buy Now. 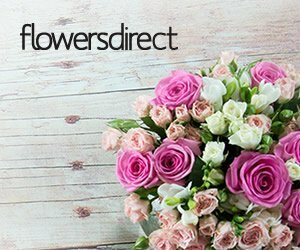 Spread Joy, Send Flowers - Thanks for stepping into the world of Flowers Direct. What you have found is a British flower service offering fresh blooms, reliable delivery, brilliant value for money � and no fuss. Flowers Made Simple - We believe that beautiful flowers are a simple pleasure. So we keep our flower service straightforward too. Gorgeously stylish, unfussy bouquets where you can see exactly what you�re paying for � that�s what you can expect with us. We keep prices simple and keen - there�s no delivery charge to add to the cost either � meaning you can spend more on great looking flowers to make a stunning impression.